Hate-spurred tragedies like the recent Pittsburgh synagogue massacre make religion-related aggression in the U.S. difficult to deny. However, the increase in the subtler harassment children face at school based on the religion their families practice can more easily slip below the radar. Anti-Semitic incidents in schools jumped a staggering 94 percent in 2017 — with 457 incidents reported by the Anti-Defamation League — making K-12 schools the place where the most such incidents occurred last year. Scott Levin, a regional director of the Anti-Defamation League shared in a recent Chalkbeat article that he considers such anti-Semitism in schools a bellwether for other hate incidents, such as those involving Muslim students, students perceived to be immigrants, or students of color. Teachers addressing current events spurred by hate like the recent Pittsburgh synagogue massacre as part of their lessons are featured in the article. New York City social studies teacher Andy del Calvo shares that opening discussion on topics related to these events in his classroom, which roughly reflects the city’s diversity, provides students an opportunity "to navigate the issues in a way that is deeply important for our democracy — especially today." The authors note that it’s tricky for teachers to examine these events in the classroom without being accused of pushing a political agenda. Still, the school system has an important role in confronting the thought patterns behind hate-fueled incidents including the bias incidents common to schools, which usually occur as verbal insults or graffiti but unchecked can escalate to hate crime as shown in the ADL’s pyramid of hate. "First of all, we just can’t wait until an incident happens, and schools now need to practice building cultures of respect," said Maureen Costello in the article. Costello is director of Teaching Tolerance, a Southern Poverty Law Center project that offers anti-bias education resources. For many districts there’s room for improvement when it comes to offering a curriculum that explores diverse cultures in a non-biased fashion and preparing teachers to work with the challenging issues likely to emerge. 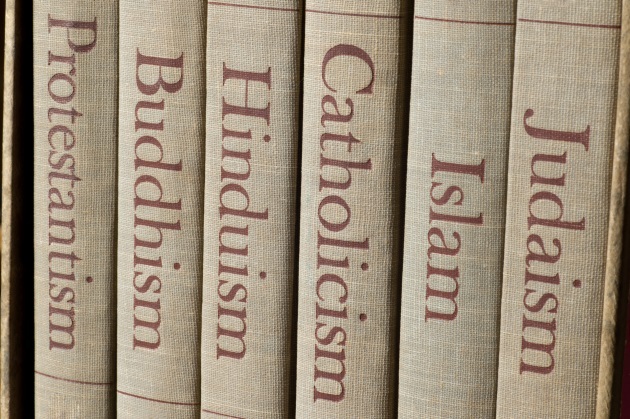 Even more neglected in K-12 education are classes that teach about religions. "It's pretty difficult to see how you can understand anything about contemporary human affairs without understanding their religious dimensions," said Diane Moore, founder and director of Harvard Divinity School's Religious Literacy Project in an article by Kelsey Dallas on teachers calling for increased religious literacy in education. In the article, Jodi Ide, who teaches world religions at Brighton High School, says, "It is so important for students to learn about religion and be taught the basic foundations of major religions. Education has the power to eliminate stereotypes, bias and prejudice." Even in higher education, religion is often missing notes, Eboo Patel, founder and president of Interfaith Youth Core, a nonprofit group that works with colleges on issues of religious diversity. "In an era when colleges are expanding their engagement of diversity issues, and at a time when religion plays a central role in public life and global affairs, religion continues to be the dimension of diversity that many institutions leave out," he writes. A key reason school systems at all levels traditionally shy away from including religious studies is to avoid problems associated with the misinterpretation of constitutional restrictions on religion in public schools. A Pew Research Center survey showed that while 89 percent of adults in the U.S. understood that it’s illegal for a public school teacher to lead students in prayer, only 36 percent knew that offering comparative religions studies in public schools is legal. A meager 23 percent were aware that studying the bible for its literary and historic qualities as part of a secular curriculum is also permitted by law. "Any time we enrich the curriculum with religious studies, there's a potential for controversy," said Charles Haynes, vice president of the Newseum Institute and its Religious Freedom Center. The institute offers lesson plans and other resources for teachers. Simply scanning the comments following articles on religion, including those cited here, demonstrates the extreme intolerance some readers possess. "Teachers can't be expected to provide an exhaustive overview of the world's religions in the context of a history or social studies curriculum, but they can train students to reflect on breaking news through a religious lens," notes Moore in the article by Dallas. Martha Ball, a retired middle school teacher with extensive experience teaching about religion shares in the article that students who learn how to approach potentially controversial, religion-related topics with patience and respect are better prepared for the real world. Next, we’ll look at comparative religion courses that are flourishing at high schools in the United States. Sheilamary Koch has written professionally for over 20 years and is increasingly fascinated by the striving and accomplishment of people from diverse walks of life. Through her articles and blogs, she highlights their positive contributions with the intention of connecting and inspiring people from down the hall and around the world. For nearly 15 years, she immersed herself in a hands-on learning experience as an English and art teacher in Mexico. Along with writing, she leads yoga classes and practices art. Connect with Sheilamary on Twitter @sheilamary67.